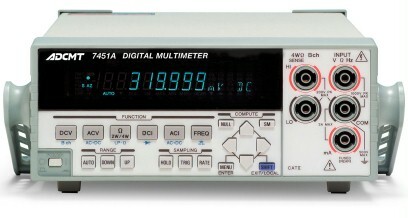 The DMM 7461A is a high-speed 6½-digit multimeter with variable integration time and support multiple applications. It implements a sampling rate of up to 20 000 samples per second and feature a high resolution DCI measurement of 1 nA and a two-channel DCV measurement. Many trigger functions allow easy data capturing.